A GOB (Government of Bangladesh) supported autonomous institute, ICMH (Institute of Child and Mother Health) is situated in Matuail on the outskirts of Dhaka. It was established eight years ago with a goal to improve the health and nutrition of children and mothers of Bangladesh. Almost seventy percent of the population comprises of children aged under fifteen years and women of reproductive age, and yet they remain the most neglected and improvised group in the country. In fact in villages and even in small towns or cities the proportion of mothers receiving antenatal care, intranatal care, post natal care and access to emergency care are not very encouraging. The best they can afford or most importantly are willing to avail are dedicated health workers who make regular visits to their doorsteps, literally forcing them to understand health care, and benefit from the village health care centres. Their knowledge about their physical well-being is limited to the lectures of these health care workers. The situation in city slums is even shoddier because they hardly opt for any health care facilities and if the need arises, their options are Friday free clinics, or medical college outdoors, where a majority of these illiterate and half literate women land up with a prescription suggesting expensive tests, surgeries and a few painkillers and vitamins. In such a situation an exclusive hospital just for these women, who are bound by various social taboos, is indeed a praiseworthy initiative. Moreover it is a government facility offering these women free treatment. Now imagining ICMH to be a typical government hospital would be injudicious. You'll be completely awestruck upon entering this hospital facility. Unlike other such hospitals, it is spacious, sunny, airy and void of any foul smells of hospital garbage. The wards and the patients, though sharing beds, are clean and tidy, with no littering and no groaning patients left unattended. The nurses, assistant staff, doctors, professors and consultants all doing their rounds are extremely professional and dedicated to their work. In fact there is a separate lactation centre where young mothers, who have hardly crossed their teens, are shown how to breast-feed their new-borns and are helped by trained nurses to facilitate the process. The institute has made significant achievements in the field of human resource development, research and clinical services for children and mothers. Since its inception, about 15,000 health care providers and other professionals of various categories have been trained. More than one hundred researches on maternal and child health issues were completed, many of which have been published in various national and international journals. Apart from the clinical services for outdoor and indoor patients, the institute has a community base at Sonargaon upazilla that provides training, patient care and research activities. The Jalkuri branch of the institute provides health care services at the community level as well. The institute has established collaboration and linkages with various reputed institutes and organisations both at home and abroad in research and training activities. ICMH comprises of a hospital building, an institute building, a training dormitory, residential complex and other service areas. Already equipped with 200 beds, the hospital is being vertically expanded with another 100 beds. The ground floor of the hospital stations two spacious outpatient facilities, special outpatient clinics, laboratory medicine, radiology department and hospital pharmacy. Eight consultation rooms are available on each side for paediatrics and OBGYN. The service block is attached to the hospital building. 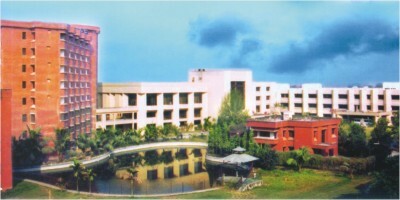 The institute building has an administrative block and a cafeteria on the ground floor. The first floor stations a nursing school and departments for epidemiology and biostatistics and computer science. An audiovisual department with all modern facilities and an auditorium for 650 people and a solarium are on the second floor. A centre for training and communication (CTC) is on the third floor equipped with eight training and conference rooms. There is a beautiful mosque, a primary school, a bank, a hospital pharmacy and a space for a post office as well. A small but beautiful lake adds beauty to the campus. Residences for executive director, professors, doctors, officers and other staff of the institute are on the southern part of the campus. There are 300 highly skilled, motivated and committed physicians, researchers and other staff working in the institute. Most of them have outstanding qualification and vast experiences in their respective areas. They set upon themselves to achieve Millennium Development Goals that are aimed to reduce the mortality rate among children under five by two-thirds, and to reduce the maternal mortality ratio by three-quarters as well. The current Executive Director of ICMH Professor Abdul Hannan, is extremely dedicated and hardworking in respect to the welfare of the hospital. He reinforces to refocus on the various ongoing and newly developed programs directed towards improving the health and nutrition of children and mothers in Bangladesh. Indeed ICMH lights the lives of thousands of women who come from as far off as Kishoreganj, Feni, Gazipur to avail their services in Matuail, just a little off of Jatrabari. So the next time you want to help anyone who cannot otherwise receive good healthcare, just give this excellent hospital a chance to serve the needy. She cleaned my house for more than three years and I never bothered to ask her name. As introduced, she was Motalib's mother and remained as such until she became extremely sick and I took her to the doctor. That is when they asked me her name and I was lost. As it is I was feeling sorry for the poor woman who was the sole earner of her family of two children and an extremely oppressive good-for-nothing-husband. My guilt found no limits when I realised how insensitive an employer I was to not know that she had been christened Rokeya Begum. I always had a soft spot for the woman who was burdened with life, its gruelling chores and just needed to survive. She did it all by herself with no better half to share the responsibility or a mother to help her out with kids while she was at work. Motalib's mother worked hard doing heavy menial jobs like cleaning the staircase everyday, doing the laundry of two households and sweeping almost 3000 square feet twice daily. She used to work part time at three jobs and returned home to cook and clean again. And then there were always those late night calling bells when she, battered black and blue, would seek shelter at my home. Yet she never once told me that she was suffering from a serious ailment that began after her second childbirth. Her situation if not immediately operated upon would lead to cancer and an untimely death. That meant she would face the almost typical death of a Bengali woman born in poverty. I decided to talk sense into her husband and took them to the Institute of Child and Mother Health (ICMH), Matuail, Dhaka. I made sure she got treatment free of cost. Whether she could actually avail it or not was up to her husband who was not willing to spend a week at the hospital with her for the pre and post operative period. Nonetheless I left her to her fate. After all I couldn't force someone to see reason when they chose to turn a blind eye. Completely defeated, I became a witness to yet another worker, a fighter, a mother and a woman who bites the dust.